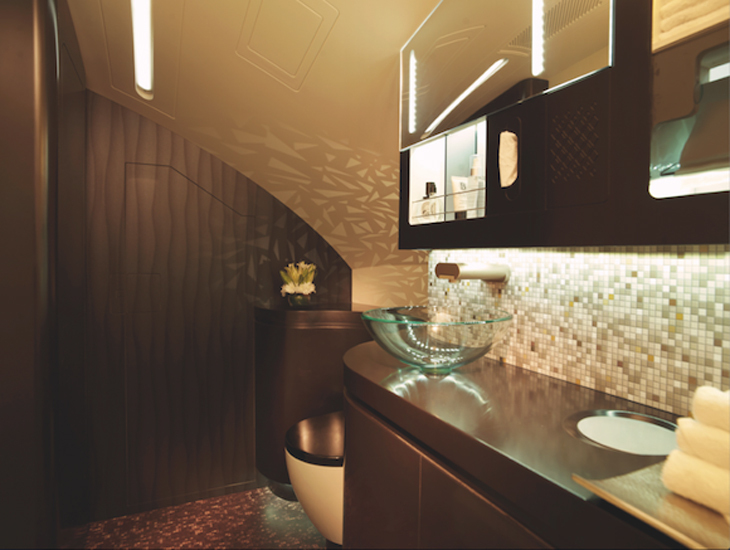 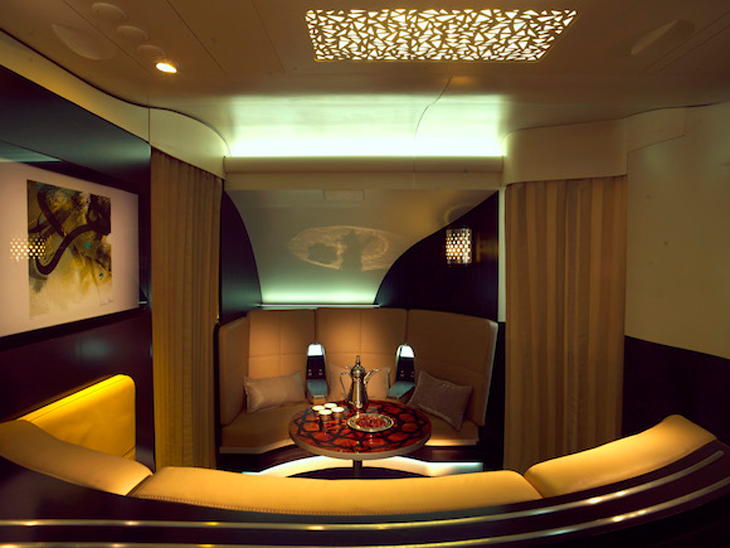 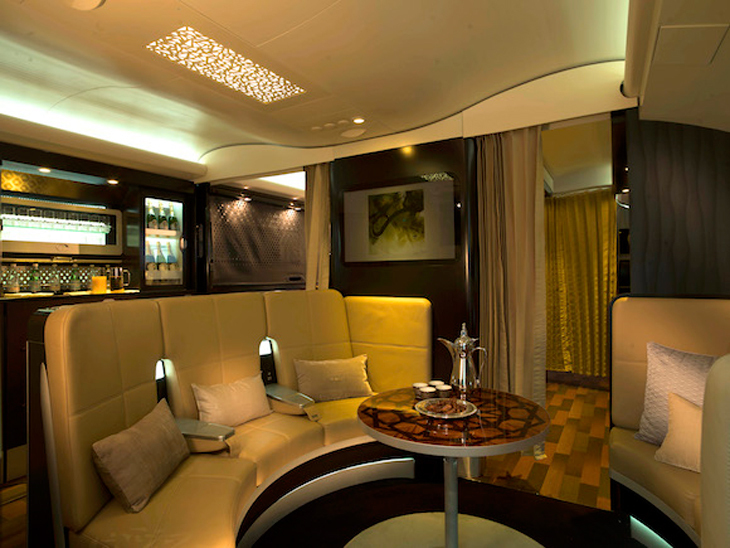 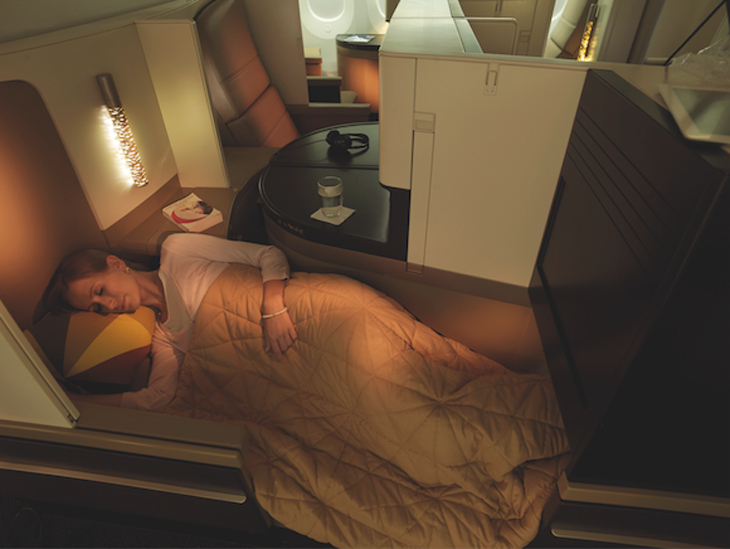 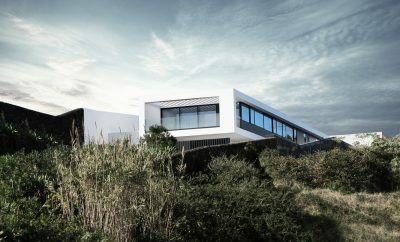 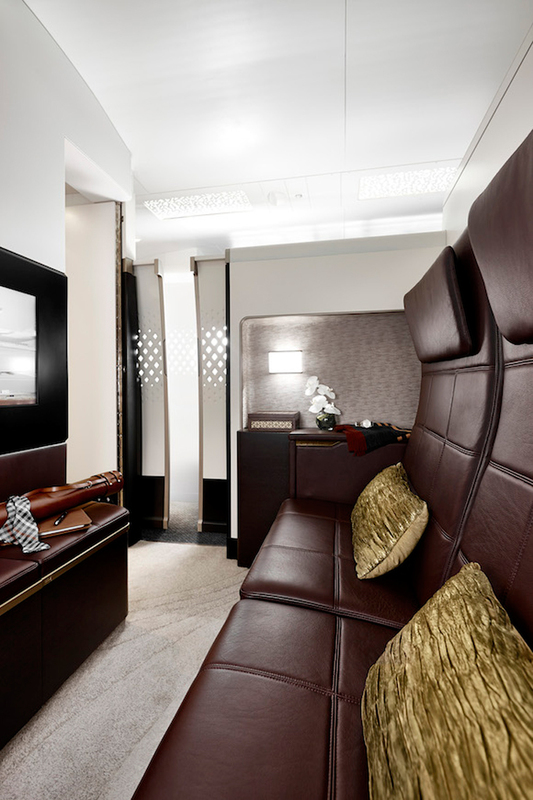 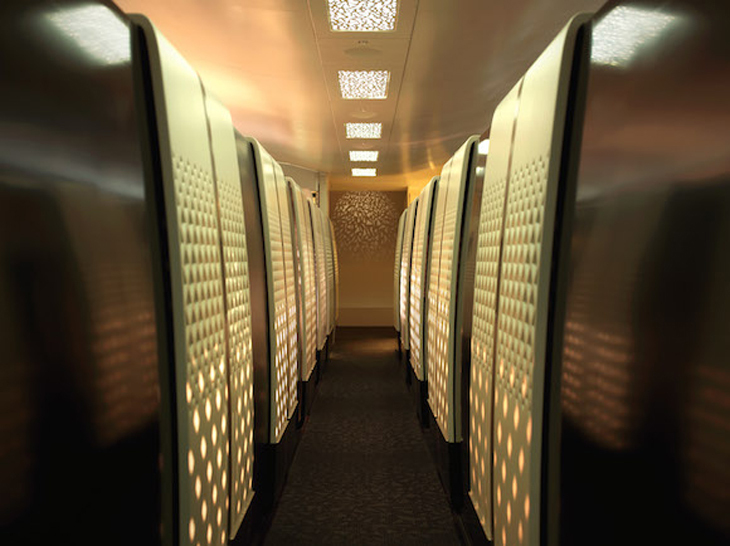 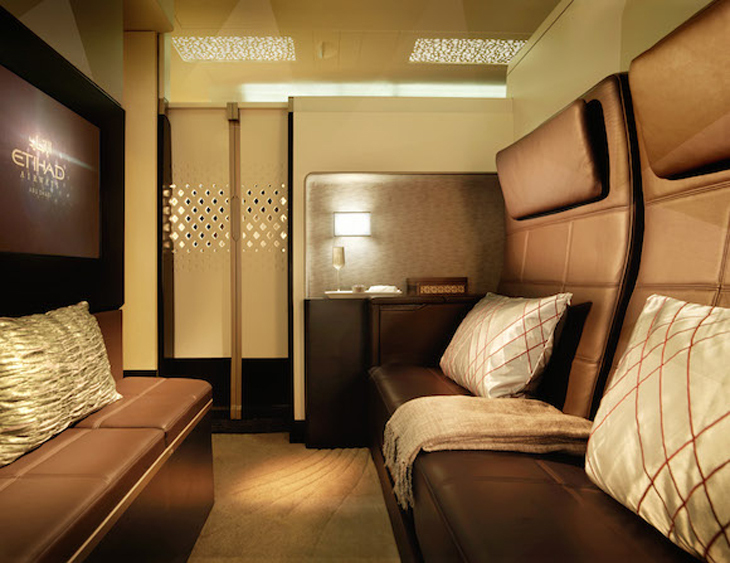 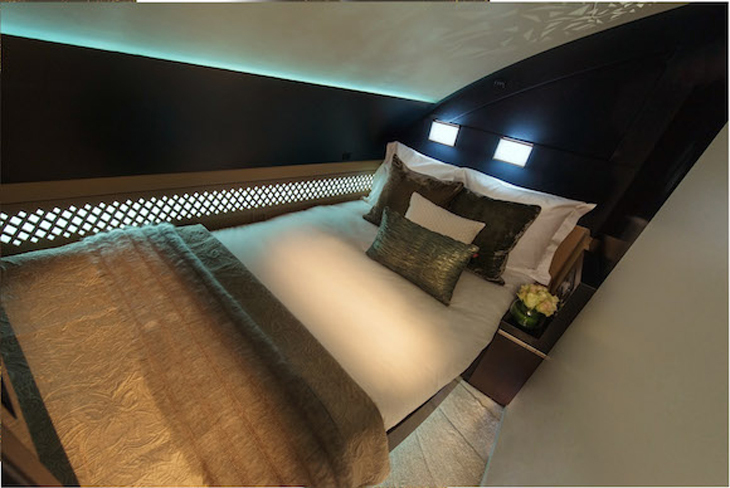 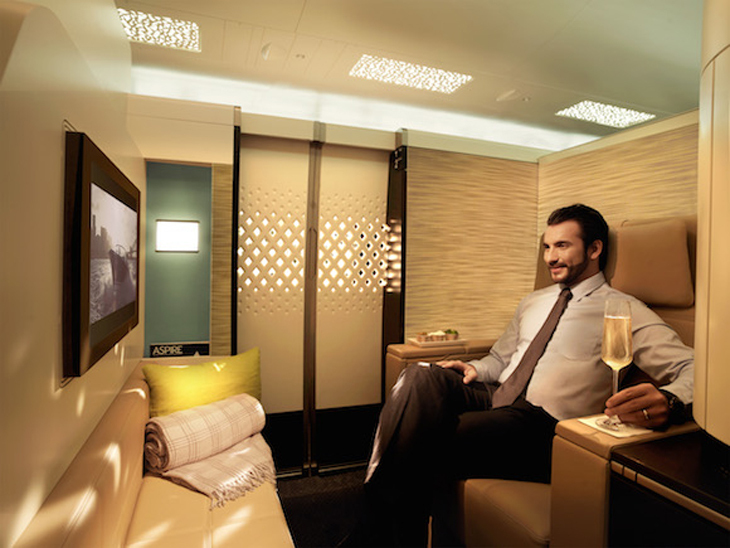 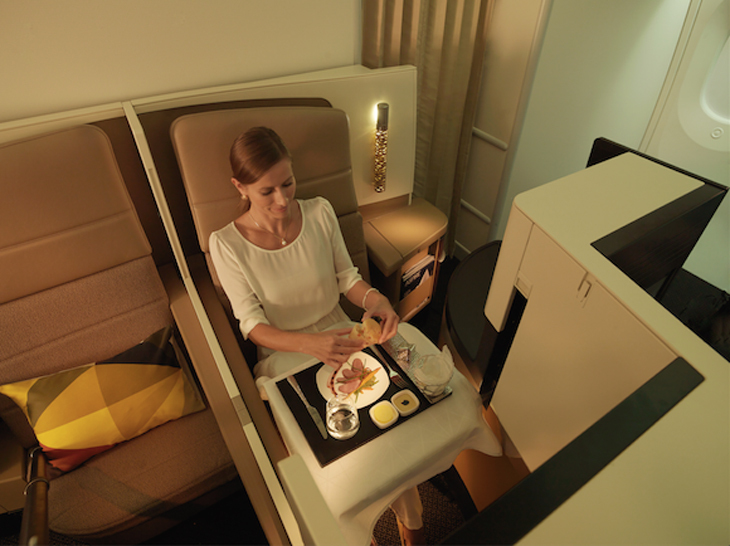 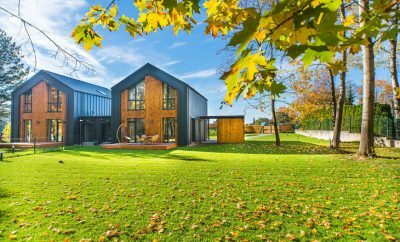 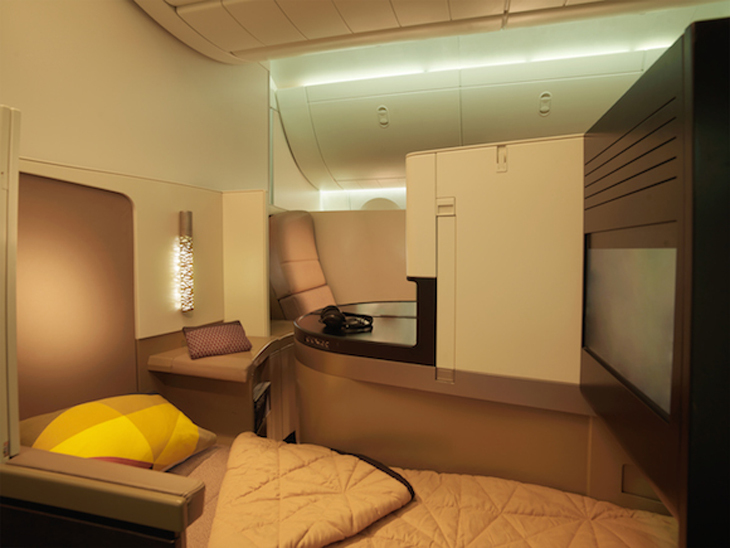 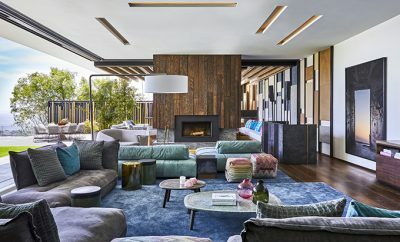 The Residence launched by Etihad Airways on their A380 airplane comes as the ultimate luxury perk in aviation today. 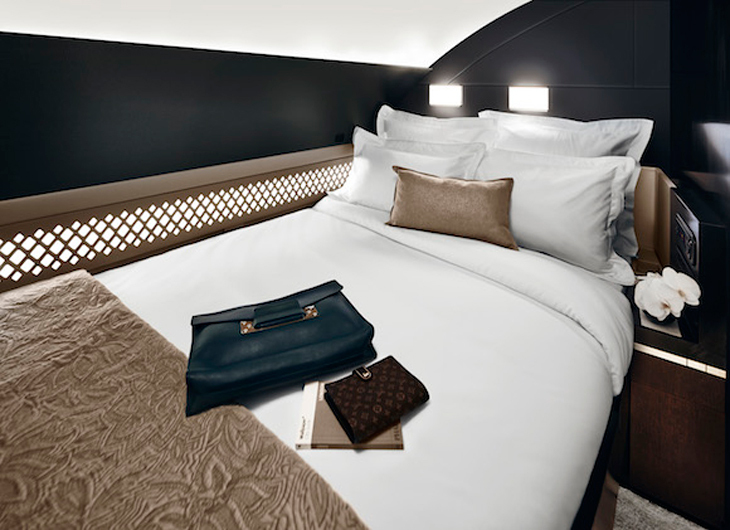 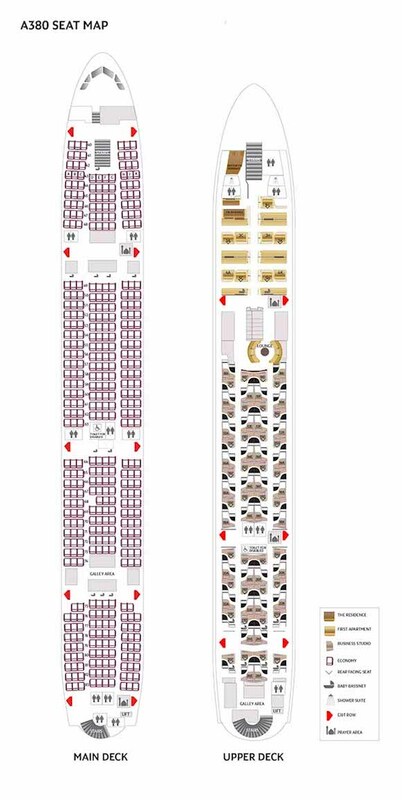 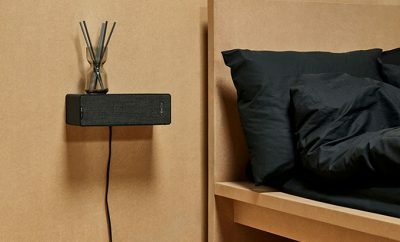 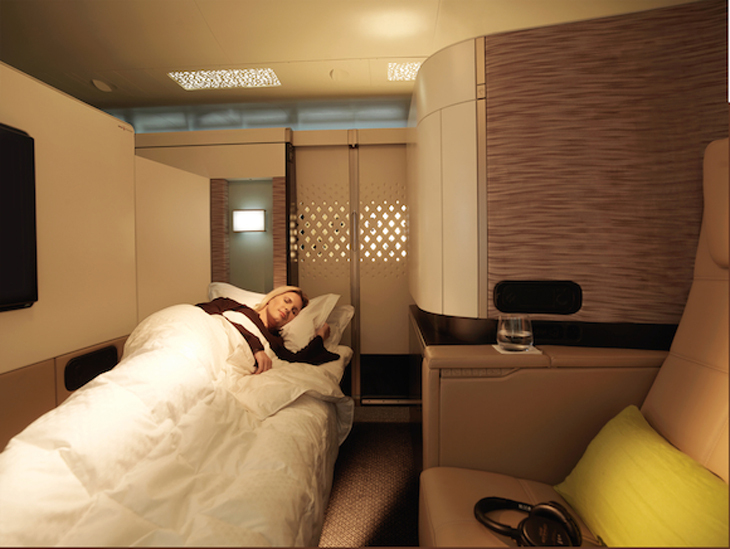 The middle eastern airliner company has created on flight comfort parallel to the one available in elite hotels. 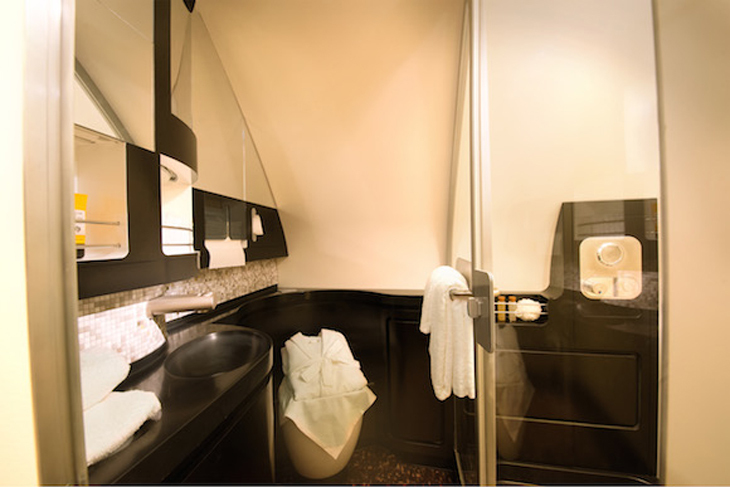 Passengers, or we could simply call them air-guests even have their own battler service, as well as their own shower, and privacy of a comfortable bedroom. 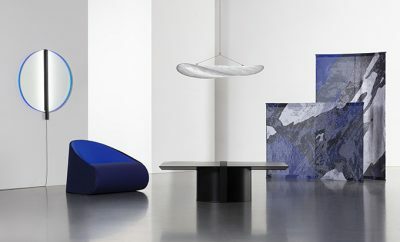 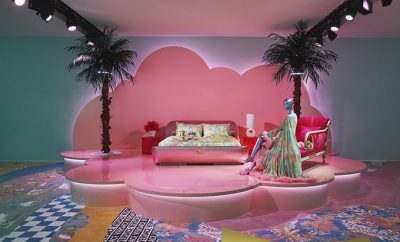 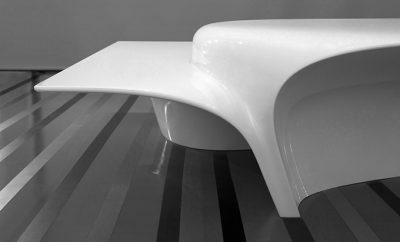 Continue below for more of the design, as well as the video tour hosted by Dannii Minogue.